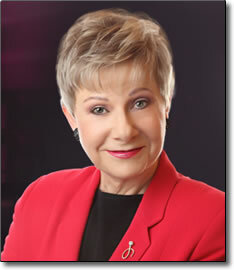 Patricia Fripp, CSP, CPAE is an award-winning speaker, author, sales presentation trainer, and in-demand speech coach. Her speech-coaching clients include corporate leaders, celebrity speakers, well known sports and media personalities, ministers, and sales teams. Meetings and Conventions magazine named her “One of the 10 most electrifying speakers in North America.” She delivers high-energy, high-content, and dramatically memorable presentations. Steven Covey’s Executive Excellence magazine calls her “One of the top 50 consultants, trainers, speakers, authors and professors who cover the Seven Dimensions of Excellence.” Kiplinger’s Personal Finance named her speaking school the sixth best way to invest one thousand dollars in your career. Before becoming a full-time speaker, Patricia enjoyed a successful 24-year career in a service industry. She owned two highly successful businesses and trained both service and sales personnel. Her first paid speaking engagements and training seminars began in 1976. Since 1980 she has spoken to over 100 groups every year, many of them repeat engagements. This includes Fortune 100 companies and major associations worldwide. The National Speakers Association, with more than 4000 members, elected her their first female President in 1984. She has won or been awarded every designation given by the NSA, including their Hall of Fame and their highest honor, the Cavett Award, considered the “Oscar” of the speaking world. Patricia is the author of numerous audio and video training programs to help you with public speaking and sales presentation skills. Her hobby of avid movie going and attending screen writing seminars adds an extra pizzazz to her training sessions that is not generally found with other speech coaches. A media star herself, she has been featured in the press and on TV for over thirty years.